Bazaarvoice is a ratings and review platform that helps more than 1,200 brands capture, share and analyze customer conversations online. At its recent annual Social Commerce Summit, the company announced new products that provide real-time information based on customer communications from numerous branded sites and social networks, as well as tools that help customers easily share product reviews, stories and information across their personal networks. 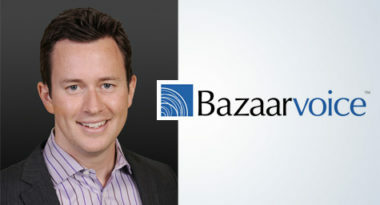 MarketingProfs interviewed Brant Barton, co-founder and chief innovation officer, for a closer look at Bazaarvoice’s views on the social media landscape. The central component of Bazaarvoice’s marketing strategy is its blog, which features numerous contributors for continually fresh content. Rather than traditional advertising, the company prefers to market through thought leadership. “We think we are in a position to take a thought leadership position in the industry around how you act on customer feedback, what you do with all this content, how you moderate it in a way that is suitable for the public forum and also is going to work for you,” said Mr. Barton. He believes that the best way to encourage customer feedback is with an email that solicits buyers to come back and rate the product or service. Some companies choose to use a contest or sweepstake as an incentive, but the most important thing is for companies to simply ask for customer feedback. In terms of selling social media to the C-level suite, the greatest challenge is not a cultural or philosophical issue, but rather on the operational side since the value of social media has already been established. One of the biggest differences in marketing today is how customers and businesses embrace technology. Customers are much faster to adopt new technology since their risk is relatively low, while businesses have much larger costs and risks associated with venturing into new realms. Bazaarvoice strives to partner with businesses to help them use social media to maximize return and minimize risk, especially with the abundance of new platforms and technology appearing each day. “Our mission as a company is to interpret and convert that into something businesses can use and get measurable value out of,” he added.